As a part of a film franchise known for keeping a tight lid on production details, the Star Wars: Episode IX cast has a long road in front of them. While fans have plenty of questions after seeing The Last Jedi, both newcomers and returning performers are responsible for keeping even the slightest detail a secret until the film releases on December 20, 2019. The corporate overlords at Disney want to ensure it's almost impossible to learn about the upcoming film without doing deep digging. Fans are free to make as many theories about the next Star Wars movie as they want, but some tidbits of Star Wars: Episode IX news have made their way into the public. This list compiles everything we know about the next film in the Star Wars franchise, and considering how tight-lipped the production is, there's more than you might think. On April 12, 2019, Disney dropped the first official teaser for episode IX and revealed the title to be, The Rise Of Skywalker. 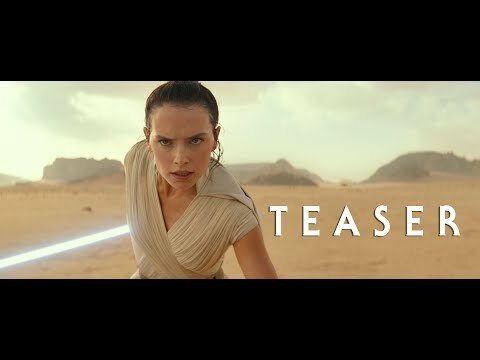 Along with special appearances from both Carrie Fisher and Mark Hamill's voice, the teaser focuses on Rey testing her power with the force paralleled by Kylo Ren's dark reign. When Carrie Fisher passed away in 2016, fans around the world mourned. Discussions about her role in Episode IX began almost immediately. Fisher's Princess Leia became a role model for generations of Star Wars fans. Rather than digitally recreate Fisher for the upcoming film, Lucasfilm announced in July 2018 they plan to repurpose unused footage shot during the production of The Force Awakens. It will hopefully give some closure to the character and fans. Keri Russell of Felicity fame joined the cast as a new character, but there are few details of her Star Wars role. The announcement included one key detail: the part will reportedly require "action-heavy fight scenes," which shouldn't be a problem for Russell after her performances in The Americans, Dawn of the Planet of the Apes, and Mission: Impossible 3. Whether she will play a hero, villain, or something else entirely is still under wraps. Lando Calrissian immediately became a fan-favorite Star Wars character when he joined the saga in The Empire Strikes Back. He was a highlight in Solo: A Star Wars Story, but Donald Glover played the younger version. Even with this incredible performance, fans still want to see the original Lando. They'll get their wish in Episode IX because production has confirmed Billy Dee Williams, the original Lando Calrissian, will return. Williams shared a video on social media of himself boxing and getting in shape for his return to the series.